It seems the answer is hidden beneath our feet in the complex relationships between soil microbes and plant roots. Scientists have long suspected that the key to explaining plant diversity lay with their enemies, including harmful fungi found in the soil. However, studying microbial life in soil has been notoriously difficult, earning itself the name of "black box" among scientists. Lead author, Dr. Marina Semchenko, from the University's School of Earth and Environmental Sciences (SEES) said: "When walking through a flower-rich meadow, you might wonder why so many different plants grow together and no single plant dominates. We found that plant growth is strongly controlled by how many different harmful and beneficial fungi are attracted to plant roots." Dr. Semchenko explains: "Like in the story of the Tortoise and the Hare, some plants are slow to grow but enjoy long life by cooperating with beneficial fungi. Others grow fast and are initially successful, but then they are brought down by diseases caused by harmful fungi." 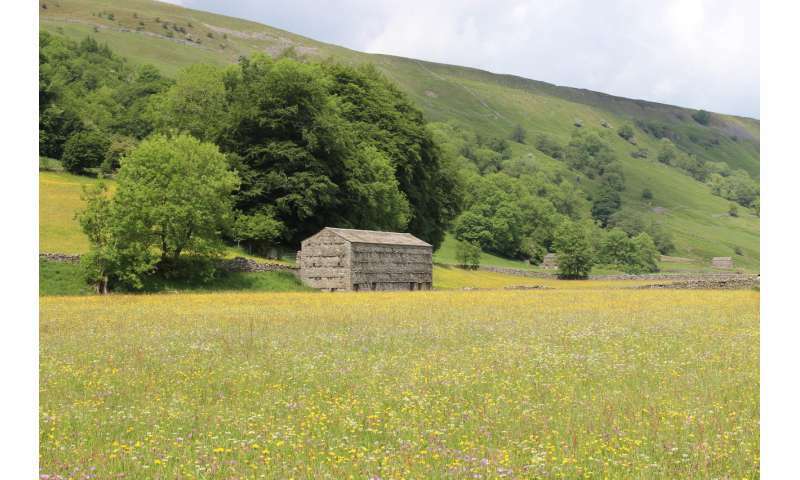 Richard Bardgett, who is Professor of Ecology at The University of Manchester, said: "While these results come from grasslands in northern England, it is likely that the same mechanisms occur in other ecosystems around the world, but more tests are needed to confirm this." Dr. Semchenko added: "Soil microbes are known to be very sensitive to human interference such as intensive agriculture and our findings suggest that negative impacts on soil microbes may have knock-on effects on the conservation of plant diversity."